The Oaks Course is a classic golf and country club located in Covington, Georgia. 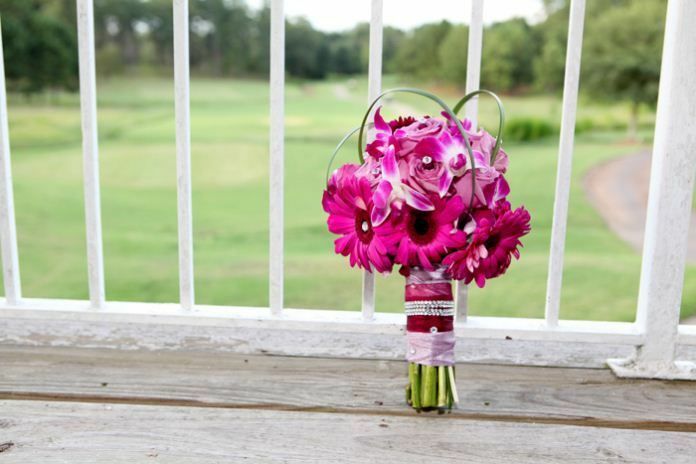 They boast an 18-hole championship golf course, and a beautiful banquet room, perfect for your ceremony and reception. They pride themselves on their experienced event staff, who will ensure your planning process is as stress-free as possible. The Oaks Course can't wait to make your wildest dreams come true. 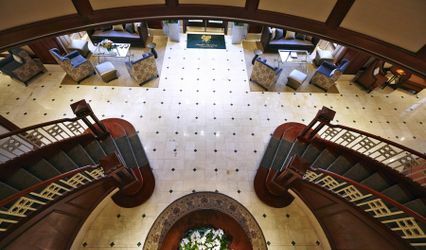 Couples can accommodate up to 130 guests at this elegant wedding venue. Their beautiful Champions Room features a flexible floor plan and neutral decor, allowing you to decorate as you see fit. There are multiple windows throughout the room, allowing in an abundance of natural light. Guests will enjoy gorgeous views of the first and second holes from their adjoining back porch. This spacious veranda is perfect for cocktail hour, or amazing photo opportunities with the pristine golf course as your backdrop. The Oaks Course was the perfect fit for my wedding reception. 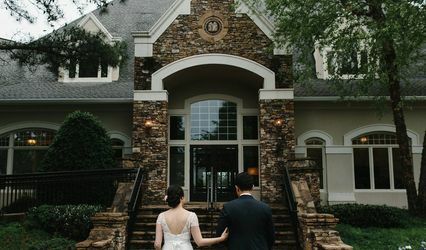 My fiancee and I went for a first visit 7 months before our wedding and were impressed with the facility, location, price point (much more affordable than anywhere in Atlanta) and services offered, especially the in-house catering option. I spoke with a couple references provided, who both gave good reviews. We returned a second time with my mom for a tasting with chef Kevin Ekiss, who offered menu suggestions that would fit our budget and prepared full-size plates of our top choices to sample. Everything tasted great--chicken alfredo pasta, meat lasagna, and chicken marsala. We decided on lasagna, which would be served buffet-style with salad, rolls, green beans with lemonade, tea, water and coffee included. Kevin and his staff also would take care of all the setup and breakdown, relieving my family of those duties, plus refilling drinks, clearing dirty plates and serving the wedding cake. All tables, chairs, linens, silverware, stemware, etc. 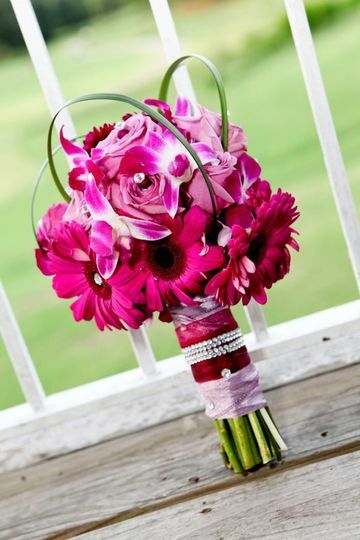 are provided, and you can even choose from their selection of vases for centerpieces. We created our own centerpieces, and were allowed to come in the day before the wedding to set those up. The banquet room itself was a good size for my 100-person guest list, with space for a 10-person head table, guest tables, DJ table, cake table and dance floor. The dance floor accommodated about 20-30 people at a time, which seemed a little small, but this made it appear more full since not everyone wanted to dance. The staff offered to move tables and chairs to create more space if needed. In the restaurant/bar area outside the banquet hall, we put our gift table, guest book table and buffet tables. We were able to provide a cash bar at no extra charge with a staff member serving as bartender. The bathrooms are immaculate, with plenty of space to change if needed. 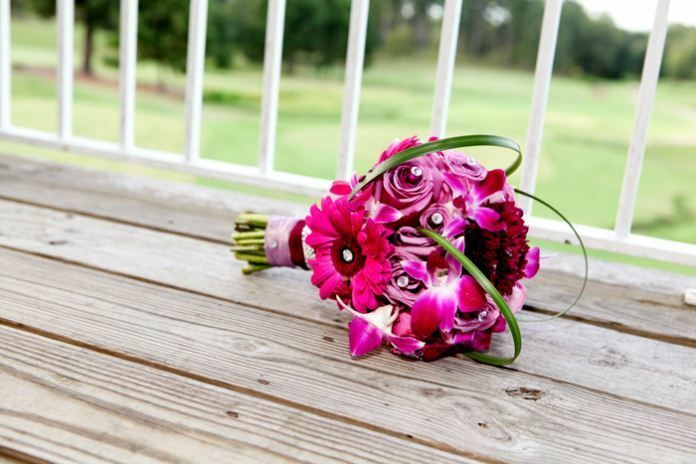 Attached to the banquet hall is a back deck that offers stunning views of the golf course, which can also be seen through the windows in the banquet hall. The greens were gorgeous, and we were allowed to take a golf cart down to a scenic hole on the golf course for photos. Kevin had everything ready when we arrived and met us with bottles of water. 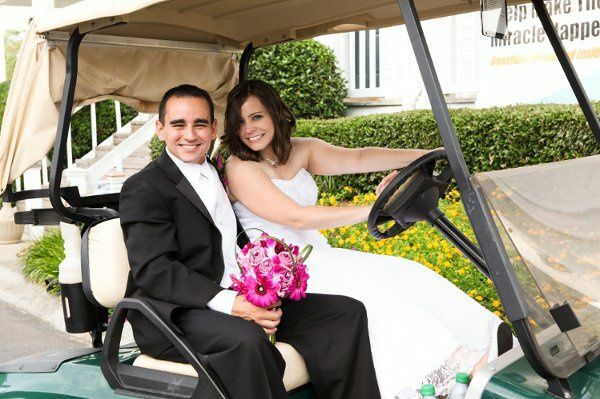 Driving a golf cart in my wedding dress was one of the most memorable moments of my day, and a story I love to retell. It not only was fun, but also gave us a way to enjoy the natural beauty of the course and provided a much-needed breeze on the hot July evening. 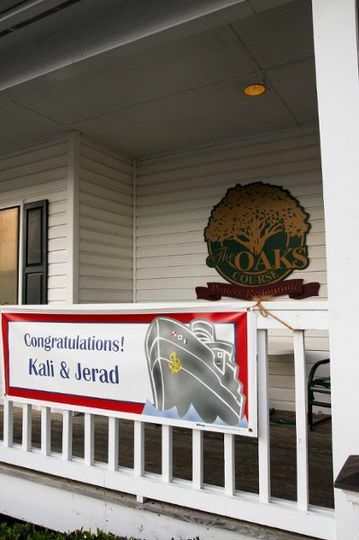 Overall, The Oaks Course staff went above and beyond to make our wedding a dream come true, helping with many extras cheerfully and with no additional charges. With all the craziness surrounding the wedding, me and my family were able to relax knowing that everything was taken care of. And that was a blessing. We loved working with everyone there!!!! 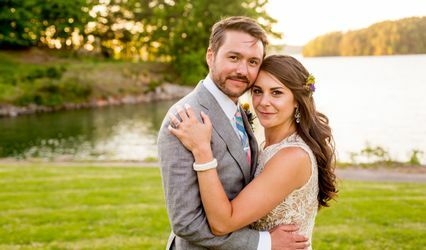 They were so helpful, and I had no worries about the rehearsal dinner.... Everything was just beautiful and delicious!!!! The Oaks Course went above and beyond my expectations. My daughter's reception there was our family's 3rd wedding within a year and a half, so we were very familiar with the process of finding wedding vendors and the costs involved. So many services that were extra expenses at other venues were not only included at The Oaks, but at a cost that didn't compromise our budget. They have a variety of menu choices, a reliable staff and they live up to their promises. 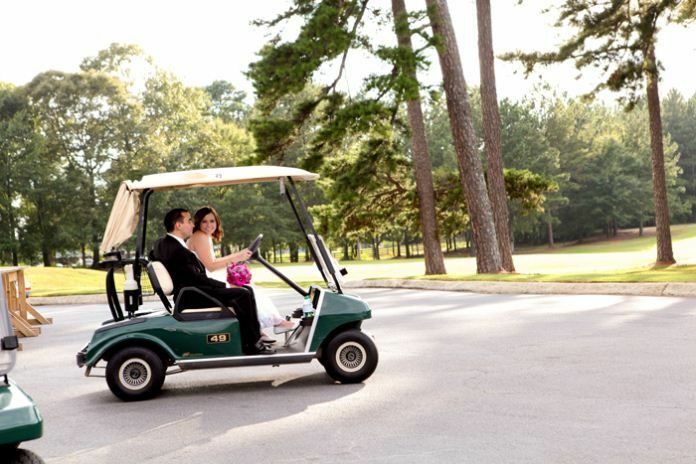 The golf course is a perfect setting for photos, not to mention the exciting & fun ride out to the 18th hole in the golf carts! I highly recommend The Oaks, you will not be disappointed!! 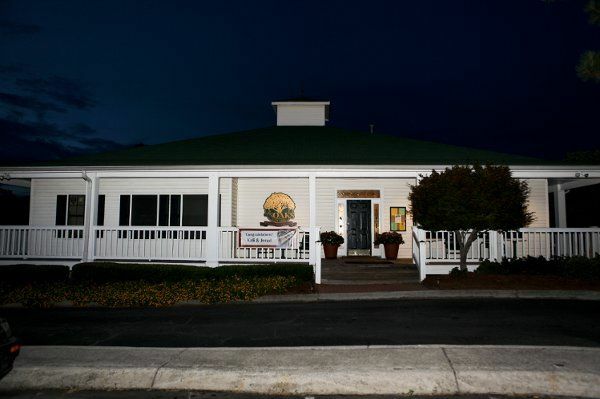 Open Daily 7am - 7pm Come visit our banquet facility!